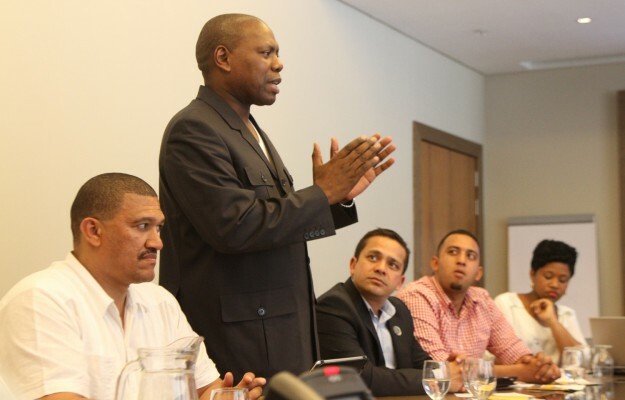 Dr Zweli Mkhize, ANC Treasurer General and member of the National Executive Committee (NEC) and Marius Fransman, Deputy Minister of International Relations and Cooperation and ANC provincial leader in the Western Cape, met with members of the newly formed Western Cape chapter of the Progressive Professionals Forum (PPF), barely a month after it was launched to assuage fears that the ANC has not got the province’s interests at heart. “There is a growing resentment by young black professionals that the ANC has not got the province’s interests at heart,” said Mark Ahrens, one of the many black business people, mainly from the construction and ICT industry at the meeting who said they felt like ‘refugees’ in the Western Cape. According to Ahrens, who was backed by other concerned professionals, black business has declined since the Democratic Alliance (DA) became the governing party in the province and PPF members say they have been excluded, especially by the Department of Public Works from building projects and set-aside projects, as large construction companies have taken over contracts to build government structures. The ANC is keen to overturn these fears of exclusion in the province by fast tracking alternative governance projects in the Western Cape in the lead up to next year’s general elections. 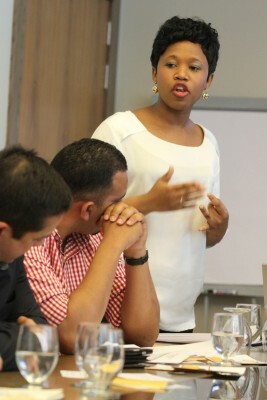 Mkhize made it clear that national government must listen to businesses and draw them into dialogue. “I hear what you are saying and the only way forward is for black business to be in continual dialogue with national government as it (ANC) must come to the party in issues such as these,” he said. 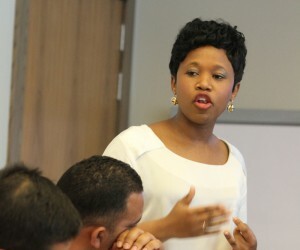 Fransman commented that in order to get capacity, a strategy is needed to connect governance with black professionals to see what they can offer and what opportunities are available. He said he is aware of problems with municipalities that are adverse to development. “I have picked up issues regarding projects in Mamre, where the Korean government is interested in rural development and projects in Atlantis where these municipalities are against private developments. Regarding alternative governance projects, Fransman explained that while the Africa National Congress does not have control of the Western Cape and has limits to its powers regarding black empowerment in the province, the ANC is forming partnerships with South African and international stakeholders and possible funders of projects, such as the Mamre and Clanwilliam dam economic upliftment projects where local black professionals can benefit. “We are holding small group talks with Asian politicians, as well as with the Malaysian Minister of Domestic Economy. We are also looking at forming a co-operative bank (for funding) in this province. You may ask where the ANC takes this. We can’t take it forward politically, so we need the credibility of forums such as the PPF to take projects like this forward,” said Fransman. The project involves raising the dam wall by 13 metres. According to a feasibility study done in 2007, this project is technically and financially viable. The project involves extending the dam wall on the downstream side and then raising it to a higher level. By raising the dam, there could be a further 69.5 million cubic metres of water available per annum, which would provide an opportunity to establish new black farmers in an area where 70 percent of the households live on less than R3 500 per month. Fransman also said that discussions are underway with the Department of Water Affairs and the Department of Rural Development regarding the proposed Koekenaap Wind Energy facility near Lutzville. Both these projects would not only benefit new black farmers but would also benefit black owned businesses in high end construction projects. During November, embassies from the Middle East and Asia took part in a three-day trade mission, engaging with national and provincial government. 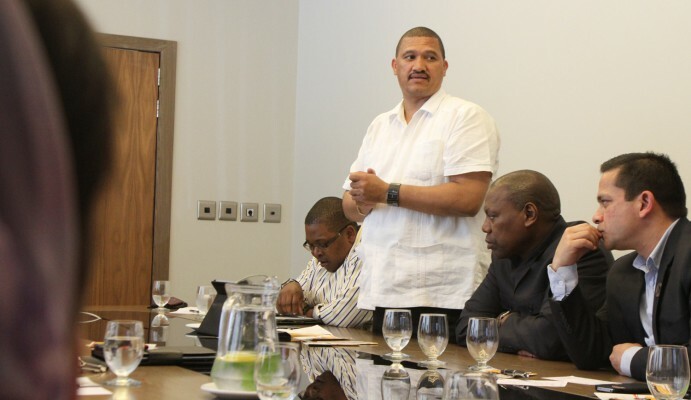 Fransman said the ANC co-hosted visits to Guguletu in Cape Town with the PPF to view three high end upgrading projects valued at R1 billion, as well as visiting the Saldanha Bay industrial development zone and Clanwilliam dam.